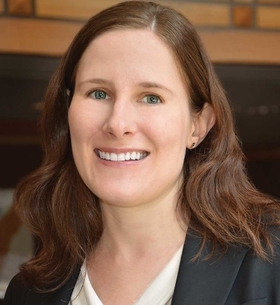 Dr. Kelly Doran is an instructor in the departments of emergency medicine and population health at the NYU School of Medicine and a practicing emergency physician at Bellevue Hospital Center in New York. When I see people on the street who are homeless, my gaze quickly travels from their faces to their wrists. I often notice something unusual: hospital ID bands, sometimes several, decorating each arm, like white paper-plastic badges of honor. As an emergency department physician in New York City, this comes as no surprise. In my work I see a disproportionately large number of patients who are homeless. On any given day, nearly 600,000 people are homeless across America. A large cohort of frequent ED users comes from their ranks. They account for a disproportionate share of hospital readmissions. Many have prolonged lengths of stay for each hospitalization. Addressing the problem of homelessness is critical to reducing healthcare costs. In New York City, the Department of Homeless Services asks hospital EDs to voluntarily count their homeless patients for its annual single-night count, but few do. This year the Bronx Health and Housing Consortium took its own count in eight Bronx hospital EDs. They found 120 homeless people there, while on the same night the official city count identified only 69 homeless people on the streets of the Bronx. It is often assumed that homeless people use the ED just as a place to sleep. But research tells us they disproportionately suffer from physical and behavioral health problems, which drive their use of EDs. The solution to reducing their ED use, then, is not just to give them an alternative place to sleep. They need an end to their homelessness. One obvious solution is to give people some type of home. The U.S. Interagency Council on Homelessness provides a comprehensive roadmap of how to end homelessness in its "Opening Doors" report. The healthcare system could and should be part of providing these resources, not just because of the profound effect of homelessness on our nation's health, but because of its impact on the healthcare system's overall costs. Some might argue that tackling homelessness is not the responsibility of the healthcare system. Yet housing is a critical social determinant of health, alongside others such as availability of healthy food and safe neighborhoods. Homelessness leads to worsening of medical conditions, increased risks of injury and, ultimately, early death. Turning a blind eye to these social issues is no longer financially responsible. Solving the social problems of patients such as homelessness will be key to succeeding under payment reforms that reward quality of care and population health rather than simply paying for quantity of care. There are notable examples of health systems throughout the country addressing this crisis. The U.S. Veterans Health Administration routinely screens patients for homelessness risk and connects them to supportive housing services and other programs. In New York, Medicaid pays for supportive housing for some high-cost patients who are homeless, financed by savings from other Medicaid reforms. In other parts of the country, hospitals have collaborated with service providers to create medical respite programs for people who are too sick to be on the streets or in shelters but don't need to be in a hospital. Some accountable care organizations and health plans are exploring programs for their homeless patients, which include connecting them to housing. A common theme in these initiatives is cooperation across traditional health and social service silos. HHS' Office of the Assistant Secretary for Planning and Evaluation and the CMS released guidance in 2014 and this year on using Medicaid to pay for services in supportive housing for people who are homeless. This might allow local healthcare providers already involved to expand their efforts or get new systems involved. Instead of seeing ED visits by homeless people as just another problem to be solved, we should consider how hospitals, insurers and the healthcare system more generally can be part of the solution. Each of the hospital bands on the wrists of a person who is homeless represents a failure of the healthcare system, a missed opportunity to intervene on the aspect of that person's life—homelessness—that most strongly impacts his or her health.